I had a great time attending the American Alliance of Museums annual conference this week, held in Baltimore, Maryland. AAM put on an excellent conference, full of interesting sessions. To be completely honest, I haven’t said that about an AAM conference in a while. I was pleasantly surprised by how interesting and informative each session was. Also a first for me was being completely blocked from a session. “How We Did It: The Move of the Barnes Collection” was so full, the AAM volunteer had to close the doors and wouldn’t let in any more people even to stand in the back. All the sessions I attended (in the collections management track) were full or over-full—I hope AAM can get arrange for bigger rooms for its collections sessions next time. This entry was posted in Collections, Resources, Social media, Technology and tagged American Alliance of Museums, Terri Anderson on May 28, 2013 by Max van Balgooy. 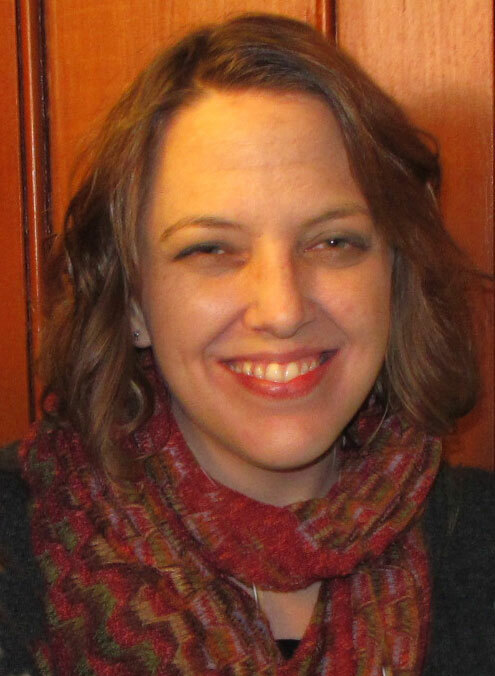 Terri Anderson is swapping history collections for art when she joins the Corcoran Gallery of Art next week as a Contract Registrar to help them migrate their collections database from Filemaker to TMS (The Museum System). For the past five years, she has focused her work on collections management at the 29 National Trust Historic Sites as the John and Neville Bryan Director of Collections at the National Trust for Historic Preservation, where she also taught collections management for George Washington University and became one of the national leaders on the challenges of deaccessioning collections at historic sites. With this transition, I thought it would be a good time to capture some of her thoughts about managing collections at historic sites. Max: You’ve been managing the collections of the National Trust for the last five years–what have been the major successes? Terri: Our most visible successes were opening several Sites to the public for the first time, including the Philip Johnson Glass House in New Canaan, Connecticut; President Lincoln’s Cottage in Washington, DC; and Villa Finale in San Antonio, Texas. Each of these Site openings required many important decisions about collections stewardship and access, and each Site demanded a different approach: one size did not fit all. This entry was posted in Collections, Interview, Leaders in the field, Objects and tagged Adam Thoroughgood House, Philip Johnson Glass House, President Lincoln's Cottage, Terri Anderson, Villa Finale on March 28, 2012 by Max van Balgooy. What do You do with Collections in a 21st Century House Museum? 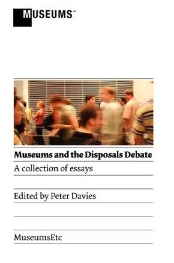 Some of this work may have just been accomplished with the publication of Museums and the Disposal Debate, an anthology of essays edited by Peter Davies. At a hefty 600 pages, it includes two dozen contributions from museums from around the English-speaking world but for those working at historic house museums, you’ll be most interested in “Too Much of a Good Thing: Lessons from Deaccessioning at National Trust Historic Sites” by Terri Anderson, the John and Neville Bryan Director of Museum Collections at the National Trust for Historic Preservation (she moderated the standing-room only session on deaccessioning for AAM a couple years ago). I read an early version of her essay and it’s the best I’ve seen written on the particular challenges facing deaccessioning at historic sites, which are distinctly different from other museums. This entry was posted in Books and articles, Collections, Objects and tagged Terri Anderson on December 12, 2011 by Max van Balgooy.